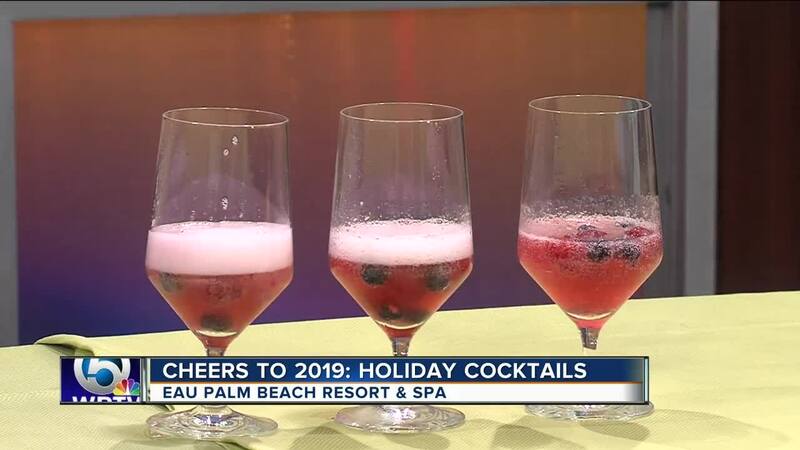 Michael Bernales of Eau Palm Beach Resort and Spa creates a tasty drink to ring in the New Year. Method: Place first four ingredients into a shaker and shake with ice. Strain into a cocktail glass and top off with Champagne. Garnish with fresh berries.